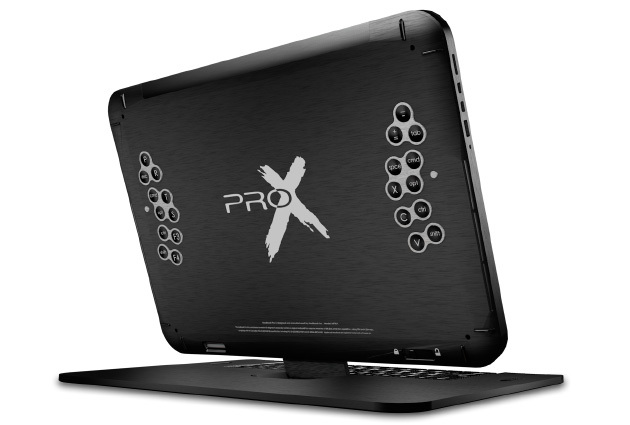 Modbook, the company behind those aftermarket Apple tablets, just launched a Kickstarter campaign for its latest product, the Modbook Pro X. After paying a pre-order price of $1,999 today, backers will be able to convert their own Retina MacBook Pros into a tablet beginning early next year. The conversion incorporates the laptop's original hardware, with components shifted from the lower half of the computer to just behind the 15.4-inch 2,880 x 1,800-pixel LCD. The Modbook Pro X supports pen input with 2,048 pressure levels, along with tilt and rotate functionality. You can also interact with the device using the rear-mounted shortcut keys or the detachable keyboard stand, both of which will be available for an additional cost. And, since your Apple warranty won't be valid, you can purchase a three-year warranty through Modbook, which provides complete coverage for the first year free of charge. If you'd prefer to avoid supplying your own MacBook, you'll also be able to pre-order a complete device from $3,999 and up, depending on the model.